Lennie James from The Walking Dead has been a fan-favorite since the hit show began and since then, fans have wanted to know more about him. In this Lennie James wiki, we will cover everything you need to know about the acclaimed actor, including who his wife is, his net worth, and other interesting facts! From the moment he first portrayed the protective, distraught, grieving father and widower who helped Rick Grimes reunite with his son in the wake of the zombie apocalypse on the AMC hit series, The Walking Dead’s Lennie James (Morgan) has become a fan-favorite. He’s becoming a household name in the United States, even though he was only promoted to series regular status in season six. While James was already an established and renowned film and TV actor (having appeared in more than 20 major movies alongside Hollywood A-listers like Brad Pitt), his breakout role in the critically acclaimed show Jericho helped him see mainstream success. In fact, he became so skilled at playing American characters and speaking in their native accents that most fans of The Walking Dead don’t even realize that he’s actually British! They only discovered this after James appeared on an episode of the Talking Dead after-show and spoke in his native British accent. This ultimately inspired the hilarious Twitter hashtag “#morganisbritish.” Keep reading our exclusive Lennie James wiki to find out more interesting tidbits of information on the talented actor! As mentioned, Lennie James has managed to achieve an illustrious and versatile career spanning nearly 30 years, with various projects in the entertainment industry. He’s a respected playwright, screenwriter, and actor who was born in Nottingham, Nottinghamshire, England on October 11, 1965, to Afro-American parents. Tragically, his mother passed away when he was just 10 years old. Following her death, he and his brother, Kester, opted to be relocated to a children’s home in London rather than moving to America to live with their relatives. They remained in the foster care system in England for eight years before finally becoming emancipated. Considering he came from such humble beginnings, it’s astonishing to see everything James has been able to accomplish in his life. He’s appeared in countless high-profile projects throughout the years (aside from The Walking Dead and Jericho), without letting any of his success and wealth get to his head. 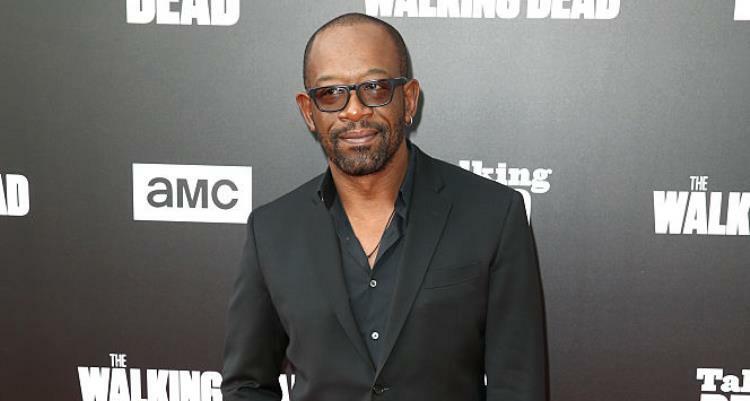 Lennie James, age 52, has garnered two prestigious awards—one was the 2010 Method Fest award for Best Ensemble Cast for Tic and the other was the OFTA award for his work on The Walking Dead—as well as six nominations in total. That’s a very impressive feat! Through it all, Lennie James’s wife, Giselle Glasman, and their three daughters, Romy (27) and twins, Celine and Georgia (22) have supported him and stood by his side. As a result of all of his accumulated work in the entertainment industry, Lennie James can certainly afford to give back to his community! According to sources, Lennie James’ net worth is estimated at approximately $4.0 million, which is comparable to some of his The Walking Dead co-stars who’ve been on the show a lot more than he has.